Channel partners face some key challenges today as digital disruption transforms business processes, necessitating some fundamental changes in order to stay ahead. For a start, technology innovation has resulted in wide spread adoption of cloud solutions which challenges traditional partner business revenue models. Another significant disruption is that the buyer journey has changed beyond all recognition, meaning that familiar outbound marketing methods such as, telemarketing and direct mail are decreasingly effective and generate little ROI. Partners often face the challenge of limited marketing budgets and some don’t even have a dedicated marketing manager in place. Marketing activity is typically short term, dependent on pots of MDF money which become available throughout the year. This results in ad-hoc outbound marketing campaigns which rarely generate a good return. I’ve seen this numerous times in the past when working with partners and have witnessed the challenges they face trying to implement lead generation campaigns with stretched budgets and resources. Some also use valuable budget for closed loop lead tracking campaigns so that marketing can try to track down salespeople to establish what happened to their leads. These campaigns often consume a lot of time and budget, but are they actually worth it? Frequently, the leads weren’t considered ‘qualified’ enough and the sales reps resented being interrupted by a marketing person for feedback. An altogether unsatisfactory situation for both the sales and marketing representative….and for the use of limited budget. So just how and where are partners now meant to focus their limited marketing resources in the new digital economy? Random acts of MDF just aren’t going to have the desired impact on brand loyalty and awareness, so partners now need to adopt an inbound marketing approach with a more long term view to nurturing relationships and engaging with customers at the beginning of their buyer journey. Social media is a fundamental element of inbound content marketing. It’s also yet another area which partners have to try to manage. Partners may feel initially that they don’t have the time, money, strategy or confidence to manage social media on top of all their other business, but research is showing that investing time and energy into developing a social business really does pay dividends. Having a social media presence has become a vital part of modern sales. Even in the B2B space, buyers are using social media to help guide their purchasing decisions. They’re looking for trusted advisers who can help them solve problems. So what’s the answer? 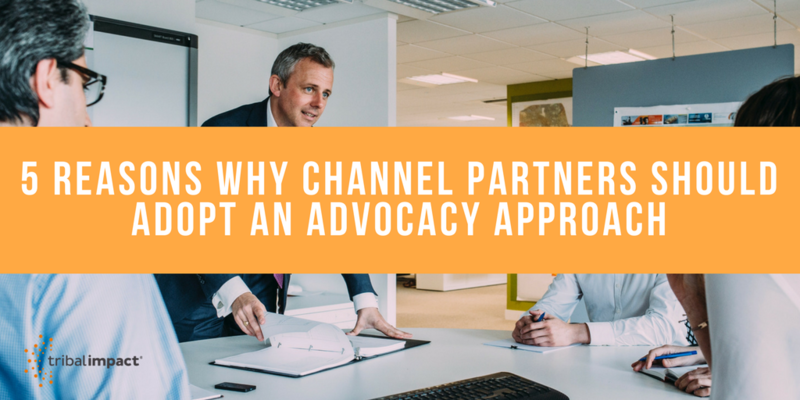 How can channel partners stay focused on driving sales whilst also getting their heads around the new demands of inbound marketing and social media? You might have heard of employee advocacy, the empowering of your employees to share smart, quality content with their own social networks. 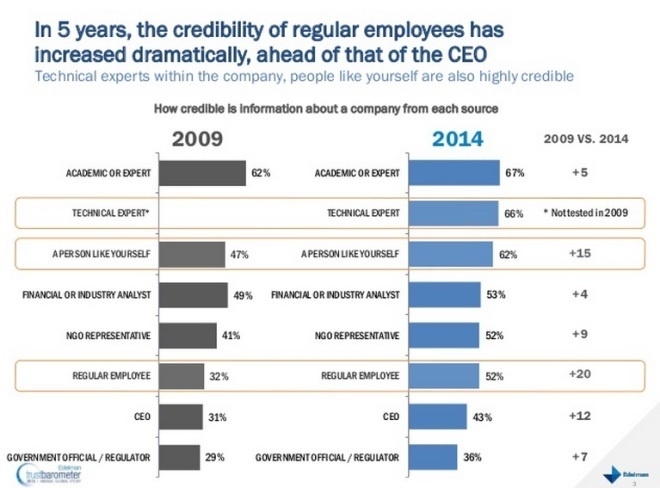 It’s a concept which is rapidly growing in importance as organisations realise that by making it easy for employees to share content they naturally extending their content reach and engagement, and connect more authentically with their audiences. That’s because, on average, employee networks have 10x more connections than a company has followers. Employee advocacy for salespeople can help increase the number of sales-qualified leads, attract and develop new business, shorten sales cycles, and bring in new revenue streams. 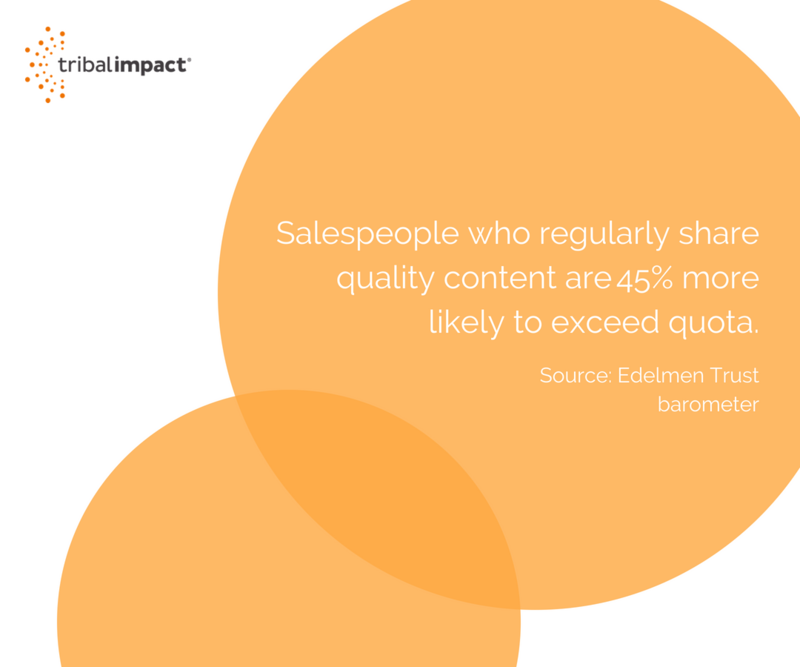 Salespeople who regularly share quality content are 45% more likely to exceed quota. A 12% increase in brand advocacy generates 2x increase in revenue growth. This is a real benefit for resource poor channel partners, the advantage is that it’s not all up to the marketing manager. Once employees are familiar with the content sharing platform and have been shown how to share relevant content, they can do it themselves. Posting content need only take a few minutes each morning and can be built into employee’s daily routines. As demonstrated, channel partners who become ‘socially engaged’ by tapping into the power of their employees can reap tremendous benefits such as increasing brand awareness, attracting top talent and generating sales leads. Adopting a long term view to inbound marketing with employee advocacy as a driving force is an infinitely better investment of those valuable MDF funds, benefiting both the partner and the vendor as there is also huge potential for the reciprocal sharing of brand content. If you’re keen to learn more about the power of Employee Advocacy for your business, discover many valuable insights here.